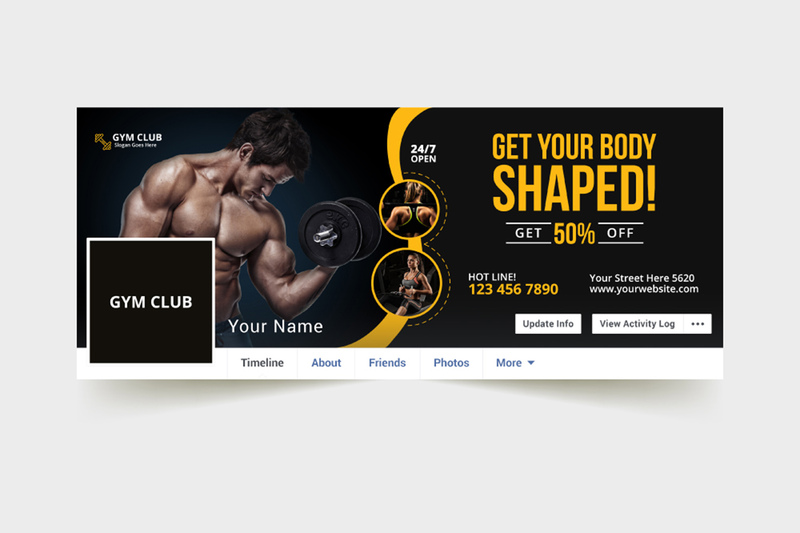 Fitness-Gym Facebook Cover Template with Super Modern and Corporate look. This Facebook Cover is best suitable for your gym or fitness center or any kind of sports club. You can also use it to promote your business, product or services like beauty salon, spa center, cosmetics, health, pharmacy, hospital, boutique and fashion etc. Easy to edit, all you need to know the very basic of Photoshop to change the text and use it! !